Ever have half of a store bought rotisserie chicken left and didn’t know what to do with it? Here’s a great answer; with just half of the chicken, you can make this quick and easy dinner that’s great for weekdays! Heat 1 1/2 C milk, peas and carrots, chicken and soup to boiling in large saucepan, stirring often. Stir Bisquick and 1/3 C milk until soft dough forms. 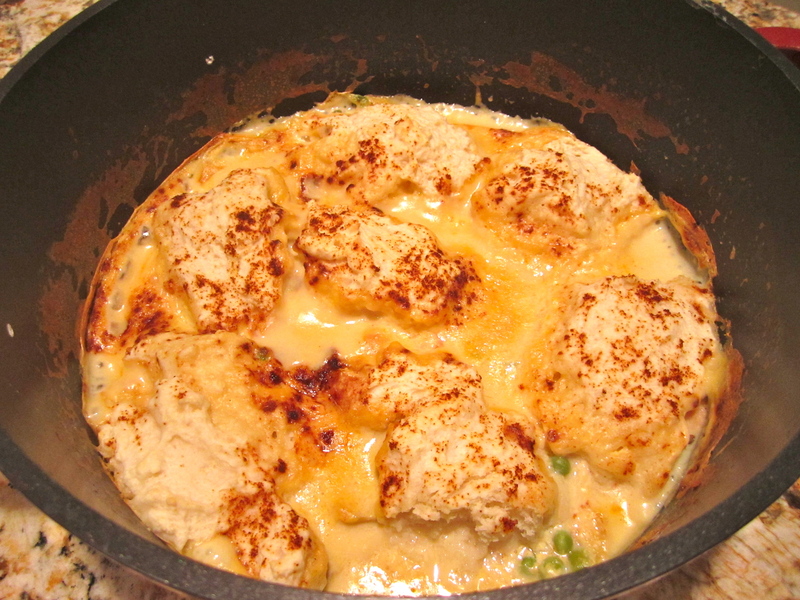 Drop dough by 7 or 8 spoonfuls onto the chicken mixture. Sprinkle with paprika. Cook uncovered over low heat 10 minutes. Cover and cook an additional 10 minutes. Makes 4 servings. Optional: If you like it a little browned on the top, as I do, put the dish under the broiler for 4-5 minutes, watch closely. 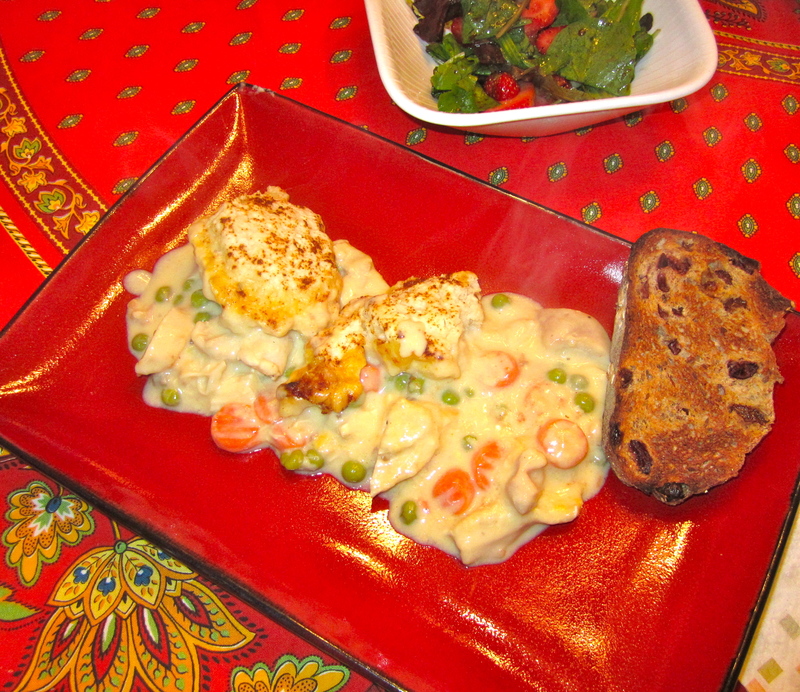 This entry was posted in ENTREES and tagged CHICKEN, Chicken and dumplings, dinner, dumplings, easy chicken and dumplings, entree, recipe. Bookmark the permalink.